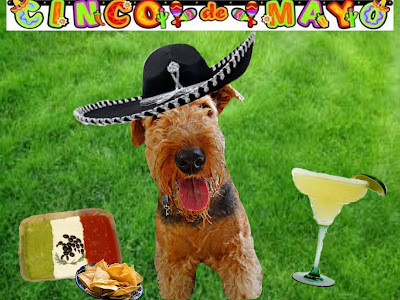 Ruby the Airedale: Cinco de Mayo!! My most FAVorite time of YEAR! I am already to CELEBRATE!! And so is my STUD MUFFIN! 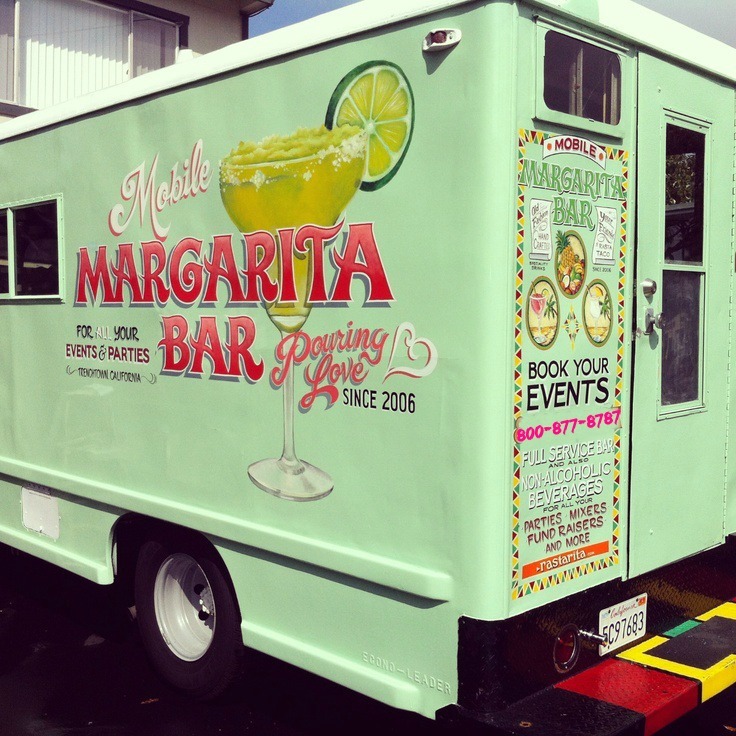 I gots the MARGARITA TRUCK all stocked up and ready to PAWTY! 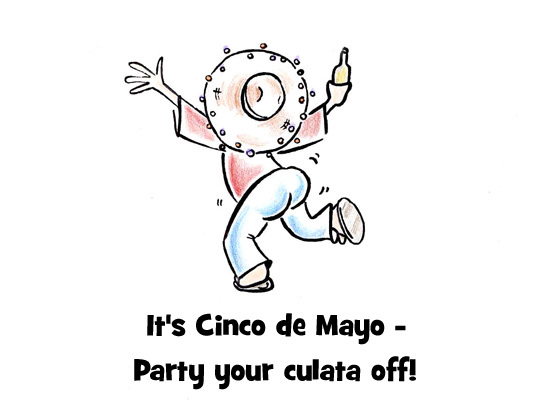 We can't forget WHY we are celebrating and drinkin' these most tasty drinkies! On this day in 1862, the Mexican Army had a most unlikely Victory over French Forces (sorry Phenny...☺) at the Battle of Puebla during the Franco-Mexican War. Okays, nows it's time for another MARGARITA!!! Yuppers, I say this on my walkies ALL the time! the Blogville PoPo might throw you in the slammer! 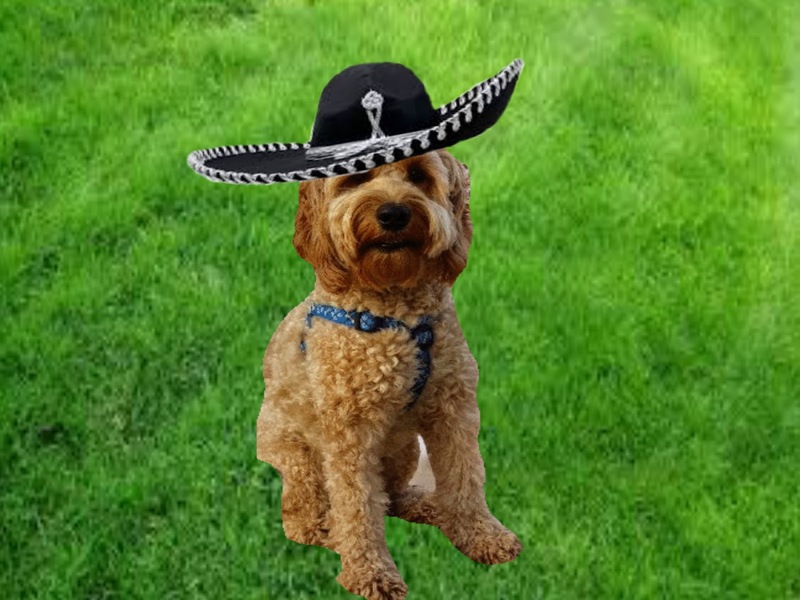 Okays, who took my sombrero??? Happy Cinco de Mayo! I'm always ready to pawty, Ruby! One margarita on the rocks for me, one frozen for Jessie! Let's pawty! 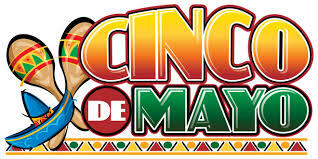 Happy Cinco de Mayo!!!! You are such a fun girl, Ruby. 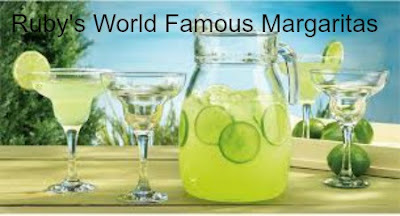 Yes, your margaritas are WORLD famous :) Please bring that truck to our neighborhood! Yup, don't drink margaritas and drive. Give up driving. Pass us a couple of Rubyritas, please! Ruby, Ruby, Ruby you always delight and amuse us!! and we THANK YOU! 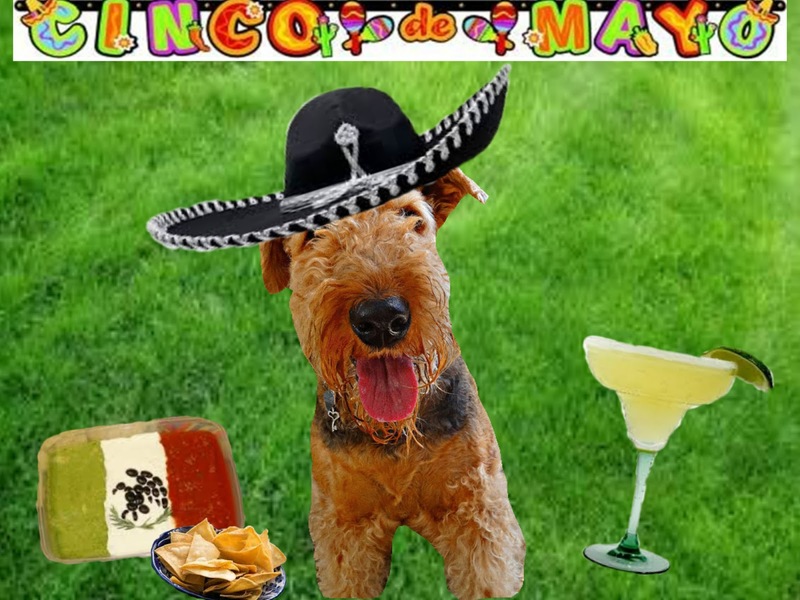 Happy Cinco de Mayo Ruby. Thanks for bringing the margarita truck for us. Ruby I hope you thoroughly enjoyed your day yesterday!!!! Ruby, you look adorable! Wait...a mobile Margarita bar??? Oh, I wish we had one! Wow! That was one wild pawty my sweet girl with the fabulous furs! My paws are sore from dancing so much and I can't believe how much we drank hee . . . hee . . .